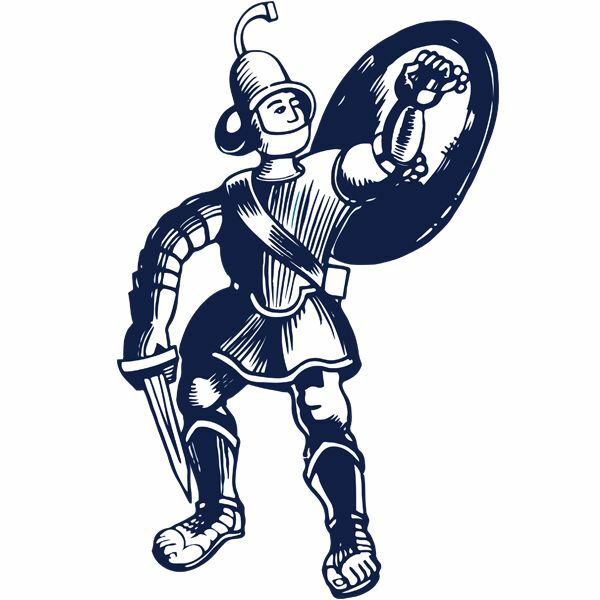 Injury ravaged Matlock extended their unbeaten run to six matches as they fought back magnificently from twice being two goals in arrears to secure a point. In the end they could even have won it. But it has to go down as a good point for the Gladiators who were simply not at the races for the opening 47 minutes as a much sharper Hednesford put them to the sword and really should have put the game beyond Matlock’s reach. The first half was a tale of three penalties, all converted and Matlock hanging on grimly to stay in contention. Then when Matlock conceded a sloppy third goal two minutes into the second half, it looked to be game over but showing tons of fight and spirit, the Gladiators were back on level terms by the 69th minute and it was then Hednesford hanging on for the draw. As expected, injury doubts Lee Beevers, Craig King and Marcus Marshall all started but Dwayne Wiley, Tom Davie, Taron Hare, Shaun Harrad and Michael Williams were left observing from the touchline while Jordan Chapell, still not fully fit was a substitute, that bench then being filled with academy and reserve team players. Dan Sweeney, on loan at Hednesford from Solihull, would prove to be a proper handful for the Gladiators defence alongside Lewis Archer. Sweeney would net a hat-trick. Early on Matlock were cut open time after time and it is difficult to remember when Adam Yates last had such a tough time of it at the heart of the hosts’ defence. Electric pace from Archer on the right nearly created the opening goal in the 9th minute, his cross finding Nathan Fox whose low shot beat Ross Durrant but Jordan Lemon, on his full home debut, scrambled the ball off the line. But Hednesford soon attacked again and when Sweeney was clipped by Jake Green as he cut in from the left, SWEENEY sent Durrant the wrong way from the spot and give the Pitmen an 11th minute lead. Just two minutes later the Gladiators were in trouble again as Sweeney blocked a Yates clearance, Durrant coming to Matlock’s rescue with a fine save. Matlock at last woke a little from their slumber in the 15th minute with a well worked corner on the right, played short to Marshall who then found Jamie Jackson to hook wide from a tight angle. But Hednesford were creating excellent chances and Durrant was extended again seven minutes later, doing well to keep out a header from Archer before Yates cleared off the line from the same player with Matlock all at sea defensively. Dave Frecklington made a tactical change on 27 minutes, taking off Green and bringing youngster Harry Wood into central midfield. He was forced to make another change six minutes later, sending on Billy Whitehead with Marshall in discomfort with his hamstring. Things went from bad to worse on 36 minutes when Beevers brought down SWEENEY who again was clinical from the spot, shooting low to the right of Durrant. Matlock had a mountain to climb now and a thrashing looked ominously on the cards. They rallied as Beevers headed a free kick too high before they were given a lifeline three minutes before the interval as a crazy foul by Reece King on Yates, with the ball bouncing away from the goal saw WESTCARR send Josef Bursik the wrong way from the third penalty of the contest. Matlock would have been relieved to be only one goal behind at the break but that two goals deficit was soon reinstated as terrible defending allowed SWEENEY to easily turn his man from Stefan Galinski’s header across the box and fire home. Captain and central defender Galinski went off injured to be replaced by striker Dan Cockerline which meant a change in formation for the Pitmen to 4-3-3 from 3-5-2 and it backfired on them. Cockerline flashed a centre across the edge of the Matlock six yard box but there was no-one there to finish off and from that point onwards Matlock dominated. Lemon charged down the right to deliver an excellent inviting cross which was cut out by Joe Fitzpatrick with Westcarr waiting to touch home, Yates flicking a header narrowly over the bar from the corner. But Matlock pulled a goal back in the 61st minute. Westcarr was fouled a yard outside the penalty box and Bursik could only push out his free kick for JACKSON to force the ball over the line from a yard out. Most of the 434 crowd were now rejuvenated, as were the Town players and they attacked again to score an excellent equaliser as Jackson streaked down the right to send a long cross to the back post which WESTCARR squeezed home in what was a fantastic and difficult finish. Could Matlock complete the job to gain what twenty minutes earlier would be a hugely unlikely win? Perhaps they should have as with just three minutes left they had a gilt edged double chance. Billy Whitehead could have stolen the headlines as he ran clear of the visiting defence but Bursik was down quickly to block his shot, the ball reaching Westcarr who tried his luck from thirty yards only for Bursik to again save the Pitmen a point. The referee did not play the full allocation of added time at the end, the game having been temporarily and briefly halted when Matlock equalised, a spectator having been taken ill and an ambulance called. Matlock will be very happy with the draw given their start and the number of senior players missing. To their credit having rode their luck, they simply did not give up. On the other hand, Hednesford will be kicking themselves for not winning comfortably.